The Next Public Paddle Is September 8! 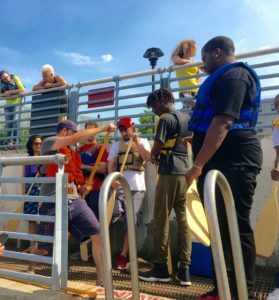 The next public paddle is August 18! 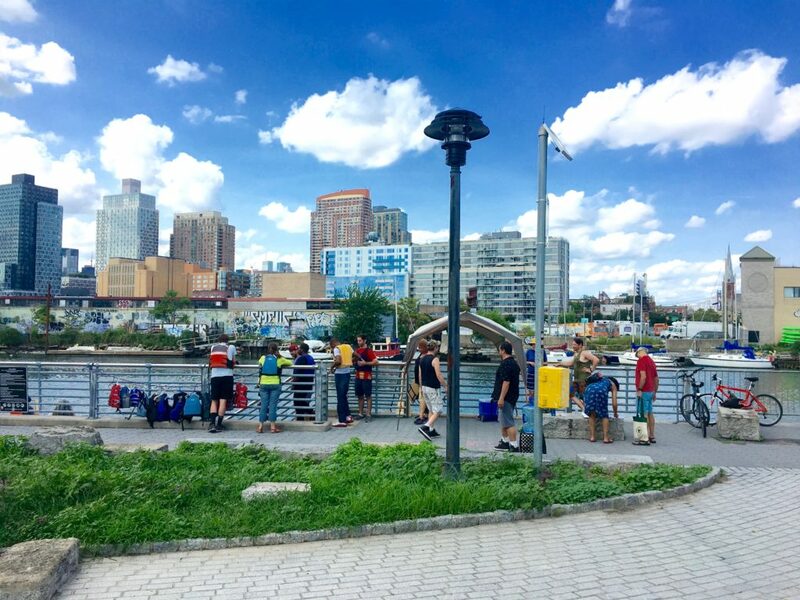 At these free, informal paddles, North Brooklyn Boat Club welcomes walk-up participants to join trained NBBC guides for short trips on Newtown Creek and often out toward the East River, where we often pause to take in the view of Manhattan. Usually we take out our 25′ voyageur canoes. Everyone on the paddle works together under expert instruction to forge a unique NYC experience, seeing the city in a new way. 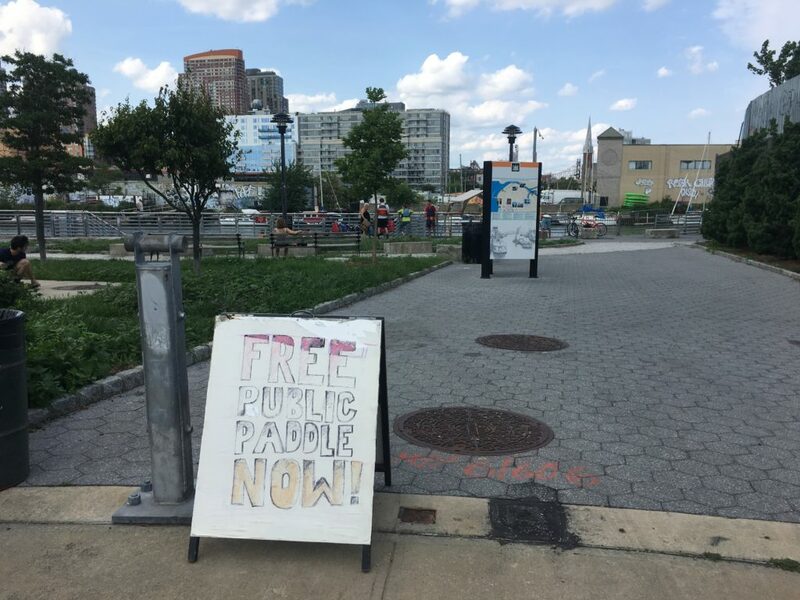 Public paddles are free and open to everyone. We especially hope to welcome our Brooklyn neighbors to the boatyard to see the city the way we love to see it — from the water. In particular, we are proud to welcome other nonprofit community organizations to join us and relax from the hard work of making the world a little bit better. We will try to get everyone who shows up on the water using our big canoes, but the earlier you arrive, the better your chance of going on a paddle. All our voyages are led by certified trip leaders and include some of the best views of the city. This is a great way to check out the boatyard and get a chance to explore the local waterways. Paddling is free! And we serve beverages, great veggie food, and other snacks. Our public paddles are child and pet friendly. Saturday, May 26, 1-6 PM — Opening Day 2018! Saturday, September 8, 12-4 PM: Check this page in the morning to make sure weather hasn’t changed our plans! 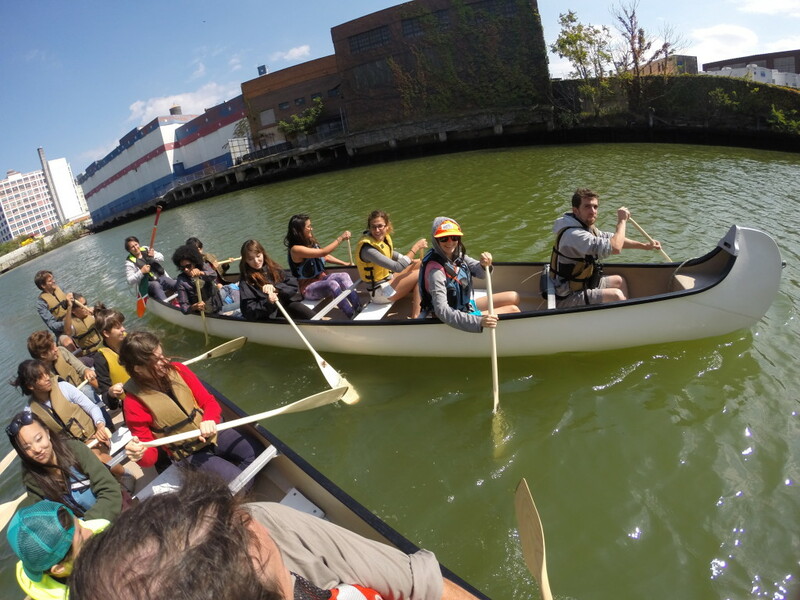 This entry was posted in Calendar, Voyages and tagged boatclub, Brooklyn, Brooklyn Based, canoe, community, family, free, Greenpoint, Greenpointers, public on August 28, 2018 by M. H..
Due to recent rain volume, there is a CSO advisory. As a result we will have to suspend the on-water portion of today’s public paddle. We are still going to be hanging out at the boat yard, EdShed environmental education programming and general open house at the boatyard (that is to say, we’re still hanging out, doing our boat club things, so come on over). Our sewage treatment plans can handle up to 2x it’s operating capacity, but on days with excess rain, our sewers can fill to capacity and a mix of wastewater and rain water can end up going into our waterways here’s more information about Combined Sewage Overflow events. 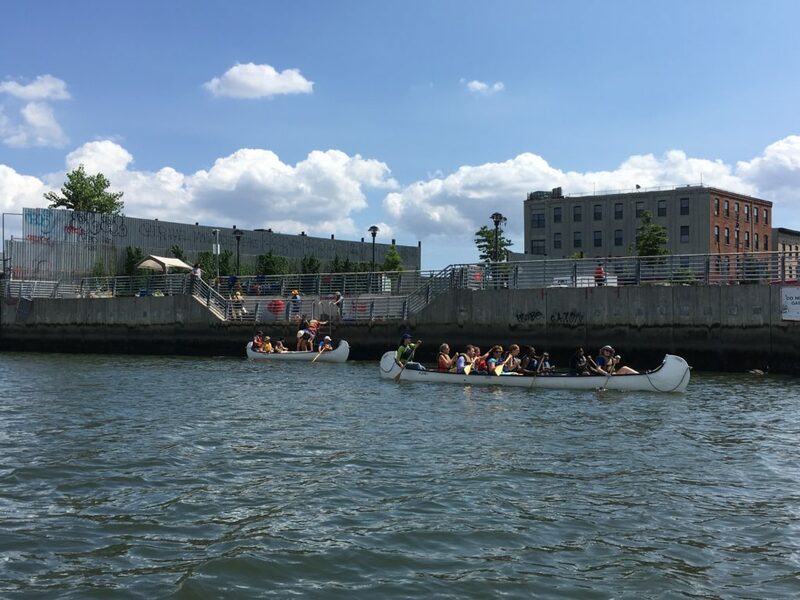 This entry was posted in Calendar, Voyages and tagged boatclub, Brooklyn, Brooklyn Based, canoe, community, family, free, Greenpoint, Greenpointers, public on August 9, 2018 by M. H..
UPDATE (Saturday 9 AM): We are on! Hope to see all our neighbors and friends from farther away at your community boat club this afternoon! 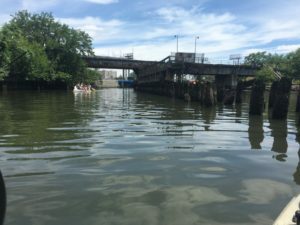 UPDATE (Friday, 11 AM): The overnight forecast is a little iffy, and there’s a chance we will have to suspend the paddling portion of the day in case of a CSO — combined sewer overflow. 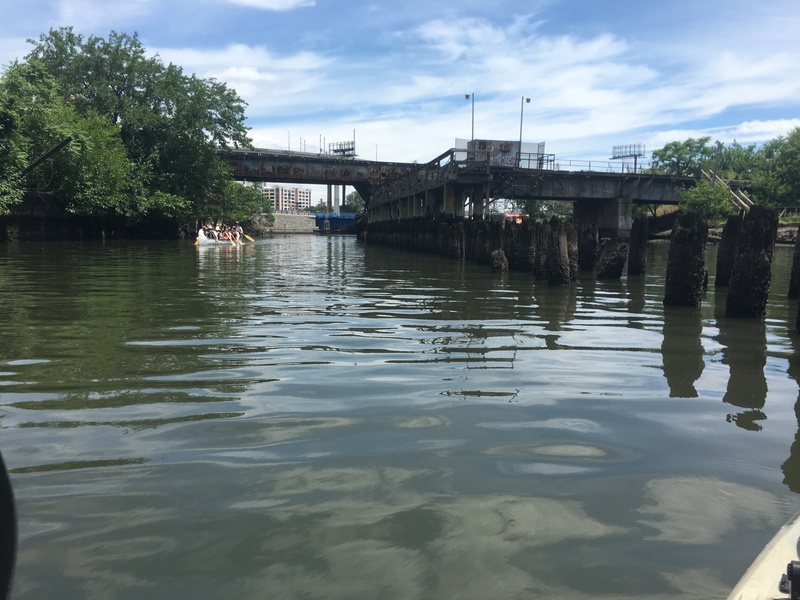 These pollution events are one of the many environmental challenges facing Newtown Creek and its revitalization. Please check this space in the morning for updates on the programming for Saturday afternoon. 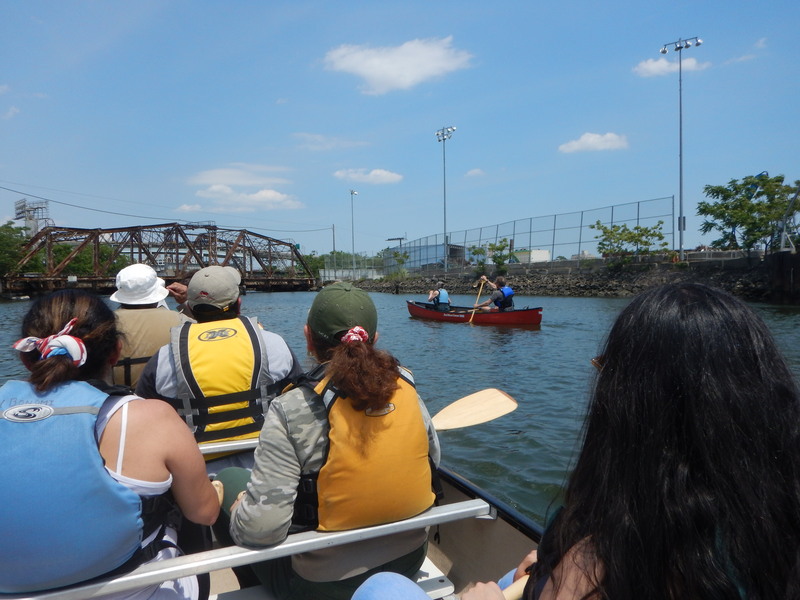 The next public paddle is July 14! 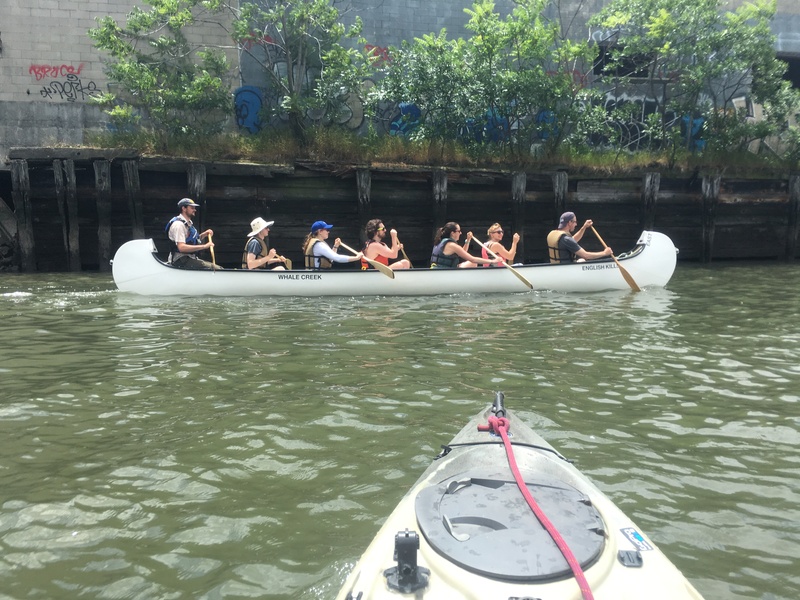 This entry was posted in Calendar, Voyages and tagged boatclub, Brooklyn, Brooklyn Based, canoe, community, family, free, Greenpoint, Greenpointers, public on July 25, 2018 by M. H..